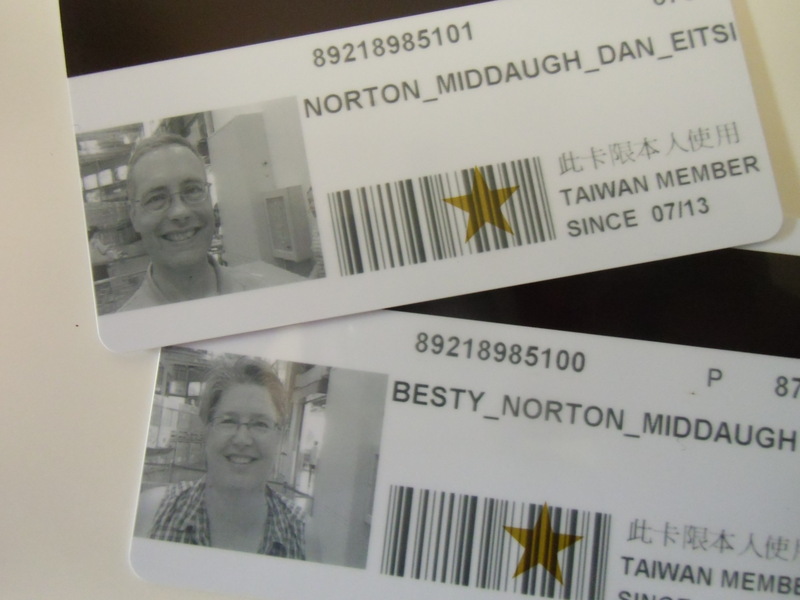 When we first moved here we were going to send home photos of Taiwan Costco. But it looks just the same as US Costco. We are almost guaranteed to meet other westerners in Costco because it carries products from home that no one else has (unless they are a store that buys from Costco and resells). If you want to, it is possible to buy your food from Costco and your furniture from Ikea and feel like you have never left the US. We’re trying to avoid that but there are certainly days that a few familiar brands are a comforting thing to have. 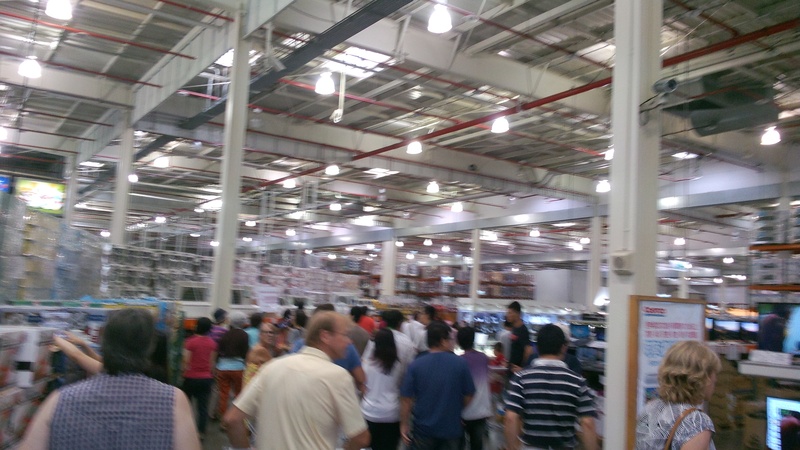 This entry was posted in cultural similiarities and tagged Costco, food from home by satisfyingwork. Bookmark the permalink. What’s the weird thing you find yourself buying in bulk at Costco that you *couldn’t* get back in the states? And do they have the $1.50 hot dogs? What else is at the food court? The food court looks pretty familiar, but I bet you wish you could get fresh mango shaved ice at your Costco. What I buy at Costco is what I can get in the US but not so easily here – good Seattle-type bread rolls, tortilla chips, butter, Tillamook cheese, and sour cream. Hey Dan and Betsy! Love the blog! My wife and I are moving to Taichung end of July! Would love to email and talk a little about our move. Any advice would be greatly appreciated. Welcome to Taichung! I’ll send you an email so we can chat more.